Plastic CD / DVD spider (CD Vacuum hub, CD/DVD Studs, CD mounting button) is used to attached CD and dvd's to file, folder, brochure and catalogue covers. Sticks itself. 3 color options: Black, white and transparent. 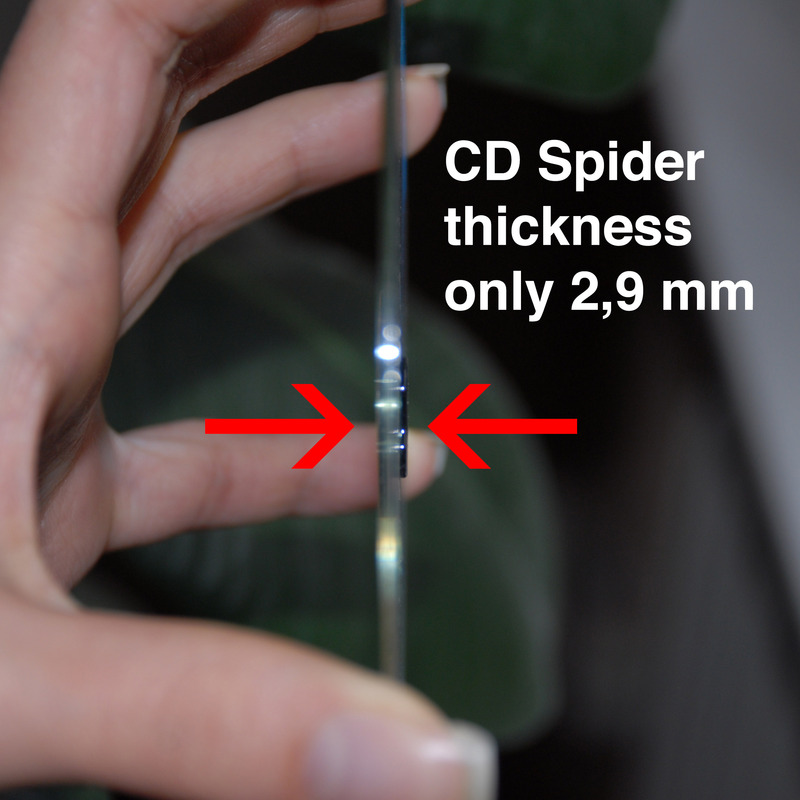 If you need to attach your CDs to promotional material or mailouts, CD spiders (CD Studs, PET cd hub) are very useful. The spiders are vacuum formed plastic with adhesive backs. Once the paper liner is peeled off, they can stick onto just about anything. Some CD spiders are very much like the moulded spider found in the centre of the jewel case tray and others look like small buttons . Available in Black, white and transparent. they are economical and effective. Plastic CD spider is used to attached CD or DVD’s to file, folder, book cover, brochure, catalogue and special CD-DVD covers. Sticks itself. 1000 cd holder in 1 pack.